Long Beach is one of the largest cities in California and the second largest city in the Greater Los Angeles Area. It’s known for its busy shipping port, oil industry, manufacturing, and close proximity to Los Angeles and Orange County. Long Beach has been recognized as an outstanding city for many people. The city was recently recognized as one of America’s top 10 livable cities for people under 35, primarily due to its biking availability and low prices for recreational activities. Long Beach has also been named one of the leading cities in America for people who identify as LGBT. The city received a perfect score of 100 in the Human Rights Campaign’s Municipal Equality Index that examines laws, policies, and services of municipalities and rates their LGBT inclusivity. Long Beach residents love the city’s legendary Pride event, the HMS Queen Mary attraction, separated bike trails and paths, gorgeous weather, and its proximity to areas including downtown L.A., Hollywood, Pasadena, and more. But you don’t have to go far to find a good time in Long Beach: the city holds its own with food, drinks, dog friendly beaches, an arts scene, international flair, shopping, and more. 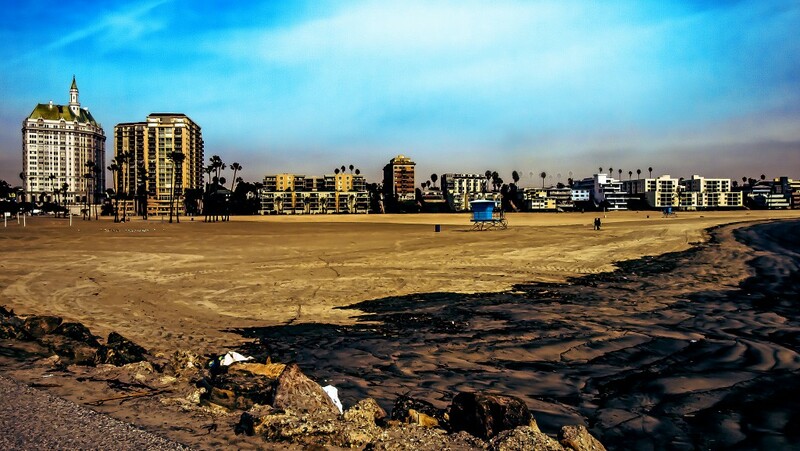 Long Beach has always been a refreshing alternative to Los Angeles and Orange County real estate markets. With a more diverse stock of housing, buyers and investors alike are interested in the city. Today, Long Beach is a seller’s market. Although many buyers are still able to negotiate below asking price, the market is still better for buyers as the demand is high in the area. Single family homes are by far the hottest ticket on the market. Most homes sell within three months of listing. There is good news for home buyers, though: the median list price for Long Beach homes is lower than it has been before. In Long Beach, buyers, sellers, and investors need the help of a qualified real estate agent who can navigate the market. While there’s good news for buyers and sellers alike, the market can be competitive and it’s not always clear what’s a good deal and what’s not. With an experienced real estate professional, you can get the best deal on the home that’s right for you — or sell your home for as much as possible. Ready to get started on your next Long Beach real estate move? We’ve listed the 15 best real estate agents available in Long Beach. With these agents, you can count on excellent service, knowledge, and the ability to deliver the results you’re looking for. They have a long history of satisfied clients and are trusted in the community for their expertise in real estate. We’ve truly found the best real estate agents in Long Beach, and any of them would be a great choice for your real estate needs. That’s why we haven’t listed them in any particular order and there’s no ranking in our list. But we’d still like to know which one is the best. So we’re leaving it up to you! We encourage you to vote in our poll at the end of this article. Tell us with your vote which Long Beach real estate agent you think is the best. Just be sure to vote today and don’t put it off: we will close the poll in 30 days! 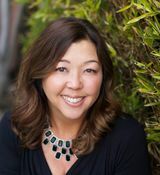 Christy Di Leo is a native of Long Beach and a Realtor with more than 10 years of experience. She also has more than 30 years of experience in sales, marketing, and contract negotiation, giving her an edge with knowledge and skills tailored to selling homes. Di Leo holds a number of designations, including National Association of Realtors Short Sale and Foreclosure Resource, Coldwell Banker Previews International and Luxury Market Specialist, Chase Manhattan Priority Partner, and USAA Certified Realtor. She’s been consistently recognized for her outstanding performance in real estate with awards including the Coldwell Banker International Diamond Society, Coldwell Banker International President’s Circle, and Keller Williams Mega Agent. Active in the community, Di Leo is involved with the National Charity League, Long Beach Museum of Art, and Pathways for Independence. Clients say she is a pleasure to work with. They appreciate her responsiveness, knowledge, and communication skills and say she is extremely personable. Her clients trust that she has their best interest at heart and know that she puts her years of experience and networking skills to work for them to get the best outcome possible. Since 1989, Trina Rufo has practiced as a real estate professional. She is a native of Long Beach’s California Heights. With nearly 30 years of experience, Rufo has come to realize that being a Realtor means service, compassion, and follow through for each of her clients. She is committed to honesty and transparency and will listen, work hard, and do everything in her power to make every client’s dreams attainable. As a native, she is an expert in the 90807 zip code of Long Beach. Her lifelong love and knowledge of the area are invaluable for clients selling and purchasing there. Rufo also brings a background in mortgage lending to the table, using her knowledge to help clients as they secure financing for home purchases. She is active in the Long Beach community as the business liaison on the PTA board for Longfellow Elementary School, the second largest in the city of Long Beach. Clients enjoy working with Rufo. They say she is truly professional and makes the process of real estate less stressful than they expected it to be. Her service is superior with honesty, great communication, and winning strategies. 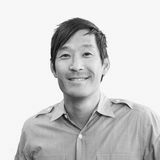 Scott Kato is the team leader of The Kato Group in Long Beach. He has been a real estate consultant for more than 14 years. Kato and his team are dedicated to delivering the highest quality of service available to their clients, serving everyone from first time home buyers to experienced real estate investors. They enjoy good repeat and referral business thanks to their dedication to customer service, results, and a love for the community of Long Beach. It is always Kato’s goal to provide his clients with the highest value possible. Clients say working with Kato is a vert pleasant experience. Transactions are quick and easy, and they’re kept informed of all processes at all times. They say he is patient, helpful, and works tirelessly to make sure their needs are met. 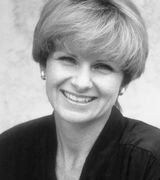 Janet Irwin is a real estate agent serving the Long Beach area, her home for more than 27 years. She places serving the needs of her clients as her number one priority and offers personal service and availability. Irwin loves Long Beach and has an extensive knowledge of the area’s neighborhoods, helping buyers find their ideal homes and matching their criteria to the right neighborhood. 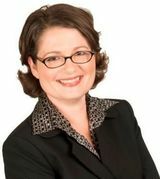 She also has the knowledge needed to price homes appropriately and effectively market them for the best sales outcome. With her solid negotiation skills, attention to detail, and professional representation, clients are in good hands with Irwin. Her numbers speak for themselves: she has more than $75 million in residential sales. Irwin’s clients say she is hard working and helps them achieve their results. They’re impressed by her knowledge, ability to lay out the options, and her patience every step of the way. They appreciate how honest, hard working, and available she is for them. They know every situation will be taken care of professionally when it’s in Irwin’s hands. Gwen Kelly is a full time real estate broker with 29 years of experience. She is an expert in marketing residential properties and helping buyers find the home of their dreams. Kelly is committed to personally helping each one of her clients, offering hands on service for buyers, sellers, and investors in Long Beach. Real estate and helping others is her passion, and she is proud to have a long list of happy buyers and sellers due to her commitment to always go the extra mile. She loves to represent every client like she would her best friend, always protecting the interests of her clients. Kelley has a number of real estate designations including National Association of Realtors Certified Residential Specialist, Senior Real Estate Specialist, and Certified Home Affordable Foreclosure Alternatives Specialist. Clients find Kelly to be a delight to work with. They appreciate her professionalism, detail, and knowledge as she coaches them through their real estate needs. They especially value her expertise and smooth guidance. 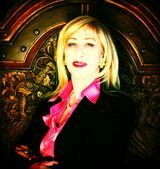 Holly Kovich is a real estate broker with Holly Kovich & Associates in Long Beach. She has more than 16 years of experience in real estate and specializes as a buyer’s agent and listing agent with interests in short sales and property management. Kovich is the broker and top producer for her office. In her many years of real estate experience, Kovich has handled practically every type of transaction — and she is dedicated to handling each transaction in the most professional way and is there for her clients over the long term. She always remembers that real estate is about people and makes sure that every transaction has a rewarding, successful outcome. Kovich holds a number of real estate designations including a broker’s license, Graduate of Realtor Institute, Certified Pre Foreclosure Specialist, Generational Housing Specialist, Short Sale and Foreclosure Resource Certification. She is also working on her Certified Residential Specialist certification. Kovich is a member of the Women’s Council of Realtors and has previously earned their Top Producer award. Clients say she always delivers a great experience with professional, knowledgeable service. They appreciate her assertiveness and ability to stay on top of everything, making the whole process less stressful. Clients value her advice, responsiveness, and extensive network. Since 2005, Vlad Rodov has been a licensed real estate agent. He also has more than 14 years of asset management experience. Today, he is a buyer’s agent and listing agent specializing in relocation and commercial real estate. His expertise includes investment analysis, lease and financing of property, loan analysis, and the underwriting process. He also has experience as a licensed real estate appraiser, performing residential, income property, and land appraisals in Los Angeles and Orange Counties. Rodov believes in making sure real estate transactions get done right whether you’re buying selling, or investing in Long Beach. Clients say Rodov is very effective and they trust him completely. He is able to deliver the results they’re looking for with patience, professionalism, and even meeting expectations other agents weren’t able to reach. Melissa Gomez is a real estate agent with more than 18 years of experience. She works with American Beachside Brokers in Sunset Beach as a buyer’s agent and a listing agent. American Beachside Brokers offers seller, buyer, and property management solutions while saving clients thousands on listing and selling commissions. Gomez has negotiable commissions, flexible contracts, and creative and cost smart negotiators. She has a strong online presence to attract qualified buyers and tenants, project management services, and purchasing power to help clients save money on repairs and renovations. Clients say she is highly professional and helps make their real estate transactions go smoothly. They feel confident that she will take care of them and help to achieve their real estate goals. They’re impressed by her resources, skills, and ability to zero in on the solutions they need in real estate. Kim Archer is a real estate professional with 14 years of experience. Since 2002, she has been recognized as a top listing agent, top selling agent, and top producer. She even earned the Rookie of the Year Award in her first six months in business. There’s no secret to Archer’s success: her dedication, hard work, and extensive network have made it possible for her to serve her clients as one of Long Beach’s best real estate agents. Archer is a second generation real estate agent and understands the evolution of the industry as well as the local market including locations, schools, financing, and investments. Her goal is to educate clients on the home buying process and negotiate the best price, terms, and conditions. With concierge service and unmatched knowledge, clients of Archer are in good hands every step of the way. Her clients say she is amazing, delivering results they hadn’t even dreamed of. They appreciate her ability to skillfully educate them on the home buying and selling process and value her extensive network of home professionals. Clients find her professionalism, humor, and intelligent answers to be invaluable. 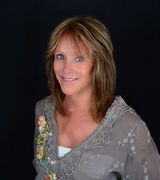 Deborah Palmer is a real estate agent with Realty ONE Group in Huntington Beach. She has more than 13 years of experience in real estate and serves most of Los Angeles County including Long Beach. She specializes in residential single family homes, condominiums and lofts, multifamily units, and 5+ commercial rental units. With her experience, she understands how the market changes and keeps up with changing conditions. She’s also highly experienced in successful negotiations not just with buyers and sellers, but with banks for short sales and other situations. Clients say Palmer is thorough, proactive, informative, and always available to answer questions. They appreciate what a pleasure she is to work with and her ability to make their experience smooth and easy. Her experience and hard work are invaluable as she keeps them informed and taken care of every step of the way as a true real estate professional. 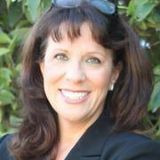 Susan Boyle is a real estate professional with DOMA Properties in Long Beach. 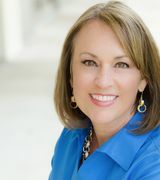 She specializes in coastal communities and has been an award winning agent since 1991. 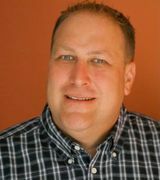 Boyle has lived in Long Beach for more than 30 years and has more than 27 years of real estate experience. In her career, Boyle has sold more than 500 properties ranging from condos to homes, as well as income and commercial investment properties. She loves to be of service to her clients and always does everything she can to make the selling or buying process uncomplicated, informational, and personable. 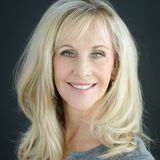 Her achievements include Top Sales Company Wide, Top 2% in Sales, International President’s Circle, International President’s Circle Premier, and Top 5%. Active in the community, Boyle serves as a charter member of the Long Beach Aquarium, is a past chair of the Historic Society and Friends of the Villa Riviera, and is associated with the Friends of the Griffith Observatory, John Hopkins, Long Beach Heritage, Long Beach Museum of Art, Museum of Latin American Art, Mary’s Hospice, and the Women’s Council of Realtors. Clients say she is the best of the best, extremely responsive, knowledgeable, and attentive. They think she’s fun to work with and are impressed with her results. She is reliable and does what is needed to get the job done well. 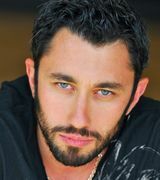 Mark Vinton is a Realtor with LB Brokerage in Long Beach. He has more than 16 years of experience and specializes in real estate sales, purchases, and investments in Los Angeles and Orange County coastal communities. Vinton enjoys an excellent reputation as a strong communicator and negotiator. Always committed to helping his clients, he delivers a great experience with support and navigation for the real estate experience. With his expert advice and services, clients are well supported by Vinton as they buy, sell, and invest in the Long Beach area. Clients say he makes their real estate journey smooth with his superior knowledge and hard work. They enjoy his outgoing, winning personality as well as his professional, courteous, and experienced service. They find him to be incredibly helpful and wonderful to work with. 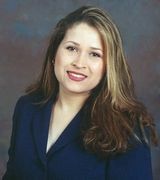 Eileen Rivera is leader of The Rivera Group in Long Beach. She has more than 21 years of experience and she and her team specialize in buying and selling homes with special interests in foreclosures, investments, and land. Rivera takes a client first philosophy, providing the best service by being accessible, listening and communicating well, and responding quickly to the needs of clients. She prides herself on her integrity, knowledge, marketing savvy, negotiation skills, and high quality professional network. Rivera is always improving her skills and business processes and is excited to use technology to work more efficiently and extend her range of services. Clients say she is patient, supportive, and dedicated throughout the process. They say she and her team are amazing every step of the way — and deliver more than they expected. They’re impressed by her game plan, techniques, dedication, and experience. 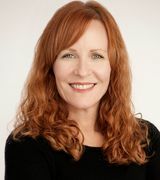 Lorri Quiett is a Realtor with Main Street Realtors in Long Beach. She has 15 years of experience in real estate and has been an active real estate investor in the Long Beach area since 1999. 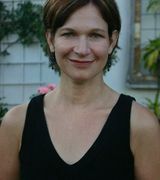 Her professional background is in marketing and public relations and life coaching. In addition to real estate sales, Quiett is a part owner of a property management company, serving clients who are interested in rental income. Her passion is helping others, particularly in real estate. She particularly enjoys helping first time buyers and has an excellent track record for selling listings more quickly than the typical market. Quiett credits her success to her creative, resourceful, and committed professionalism is real estate. She takes every deal personally and represents each client as she would her best friend, protecting the interests of her clients as she addresses real estate needs. Clients say Quiett is patient, a great listener, and has impressive knowledge of the area. they like her adaptiveness, patience, and professionalism as she handles the details and keeps them informed at each step. They feel they are in good hands with Quiett as their guide. 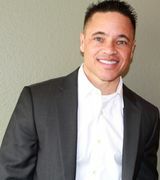 Jose Smith, Jr. is a home sales Realtor with Long Beach Real Estate. He has more than 13 years of real estate experience and has honed his skills to meet the needs of his clients. He has lived in Long Beach for more than 25 years. Smith is known as one of the hardest working Realtors in the area with excellent motivation, knowledge, and thorough, detail oriented service. He has a superior knowledge of the real estate market and excellent negotiating skills. Smith is proud to work in Long Beach and values its diversity, adaptability, views, and excellent communities. He knows every community and uses personalized service to help each client find the best home for their needs. Clients say he is a miracle worker and they’re always impressed by his speed and results. They enjoy his work as a perfectionist and recognize his hard work and knowledge. They say he is professional, helpful, and outshines other Realtors they’ve worked with in the past.